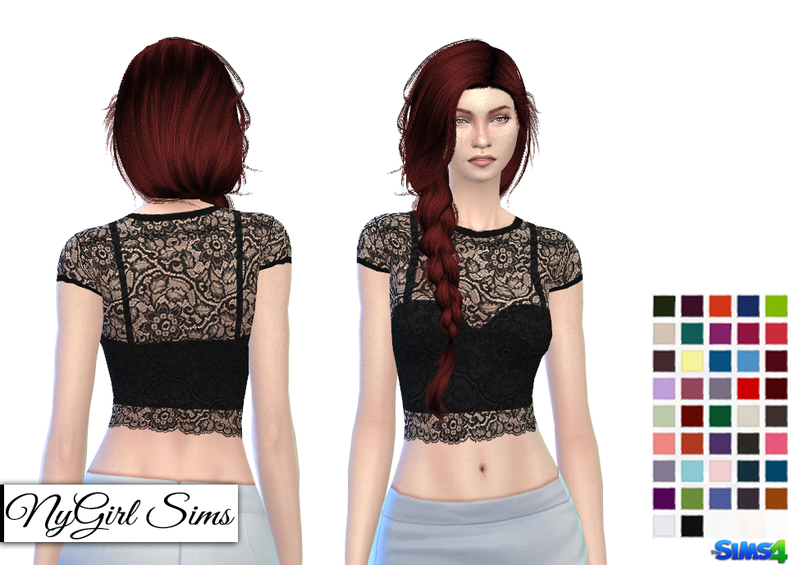 A sheer lace crop top with solid cropped tank underneath. 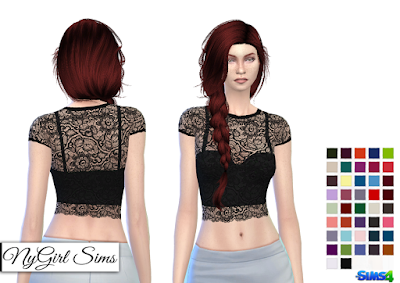 Made from a mixture of TS3 and TS4 textures as well as lace textures. Comes in 42 colors.